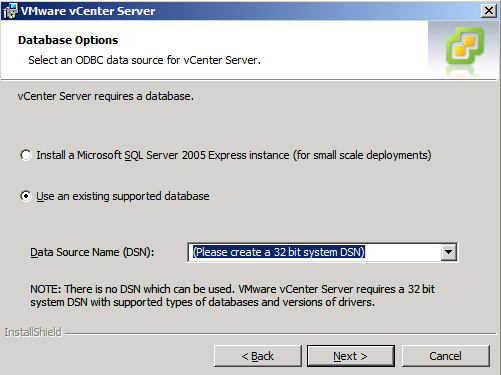 It’s well documented that if you want to install vCenter on an x64 Windows 2008 OS you need to create a 32-bit DSN rather than he normal x64 DSN, Jason has a post on this over at his site. 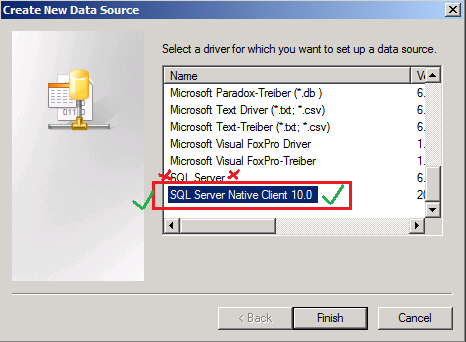 If you have a separate VC server from the SQL server you need to install the SQL native client on your VC server otherwise it won’t work. I am currently presenting a follow-up to my previous vTARDIS session for the London VMware Users Group where I demonstrated a 2-node ESX cluster on cheap PC-grade hardware (ML-115g5). 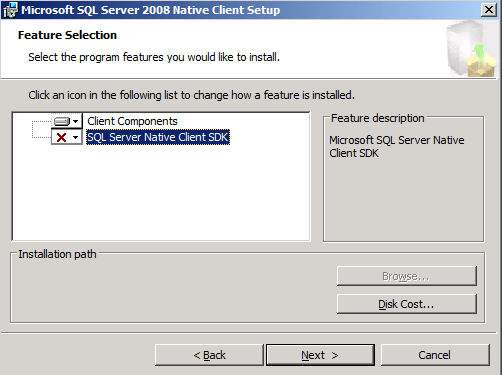 The goal of this build is to create a system you can use for VCP and VCDX type study without spending thousands on normal production type hardware (see the slides at the end of this page for more info on why this is useful..) – Techhead and I have a series of joint postings in the pipeline about how to configure the environment and the best hardware to use. The main stumbling block I ran into with the previous build was the performance of the SATA hard disks I was using, SCSI was out of my budget and SATA soon gets bogged down with concurrent requests which makes it slow; so I started to investigate solid state storage (previous posts here). So, I voted with my credit card and purchased one of these from Amazon – it wasn’t “cheap” at c.£200 but it will let me scale my environment bigger than I could previously manage which means less power, cost, CO2 and all the other usual arguments you try to convince yourself that a gadget is REQUIRED. 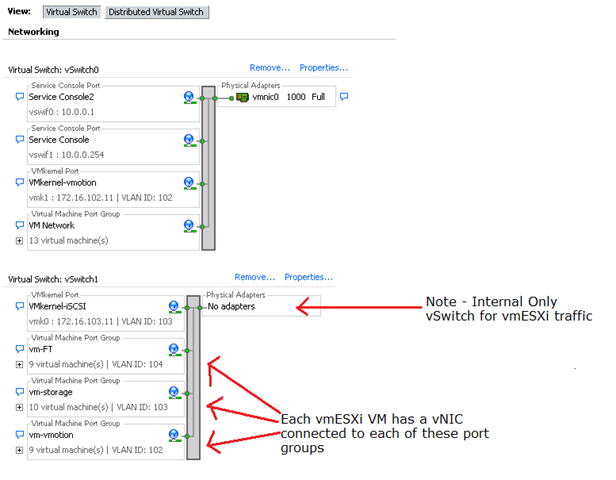 This diagram shows the virtual network configuration within each virtualized ESXi VM with vSwitch and dvSwitch config side-side. 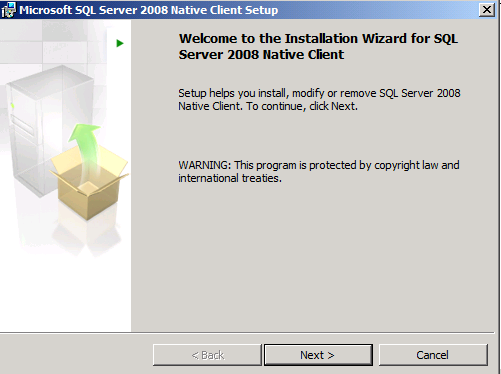 I then built an OpenFiler Virtual Machine and hooked it up to the internal vSwitch so that the virtualized ESXi VMs can access it via iSCSI, it has a virtual disk installed on the SSD presenting a 30Gb VMFS volume over iSCSI to the virtual cluster nodes (and all the iSCSI traffic is essentially in-memory as there is no physical networking for it to traverse. 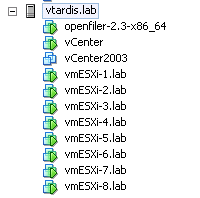 Once this was done and all my ESXi nodes were running and settled down, I have a script to build out a whole bunch of nested virtual machines to execute on my 8-node cluster. the VM’s aren’t anything special – each has 512Mb allocated to it and won’t actually boot past the BIOS because my goal here is just to simulate a large number of virtual machines and their configuration within vCenter, rather than meet an actual workload – remember this is a single server configuration and you can’t override the laws of physics, there is only really 8Gb or RAM and 4 CPU cores available. 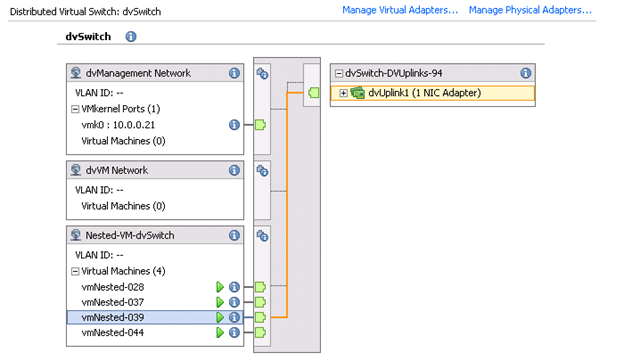 Each of the virtual machines was connected to a dvSwitch for VM traffic – which you can see here in action (the dvUplink is actually a virtual NIC on the ESXi host). 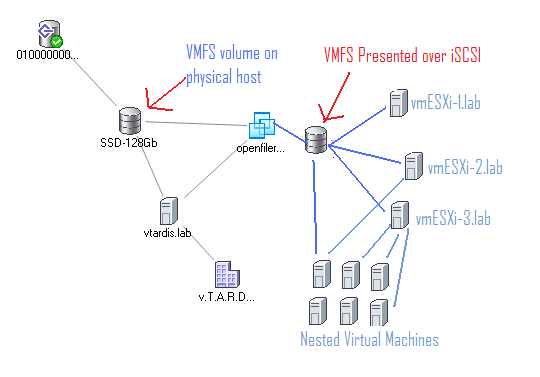 So, in conclusion – this shows that you can host a large number of virtual machines for a lab setup, this obviously isn’t of much use in a production environment because as soon as those 60VM’s actually start doing something they will consume real memory and CPU and you will run out of raw resources. 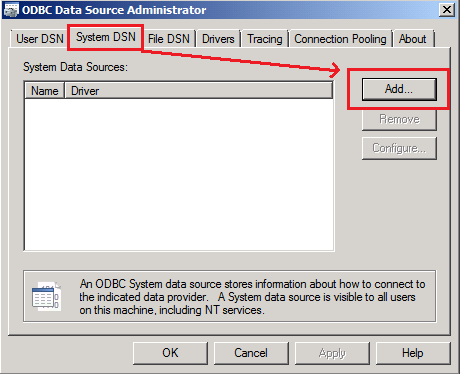 Whilst not a production solution, this sort of setup is ideal for VCP/VCDX study as it allows you to play with all the enterprise level features like dvSwitch and DRS/HA that really need more than just a couple of hosts and VMs to understand how they really work. 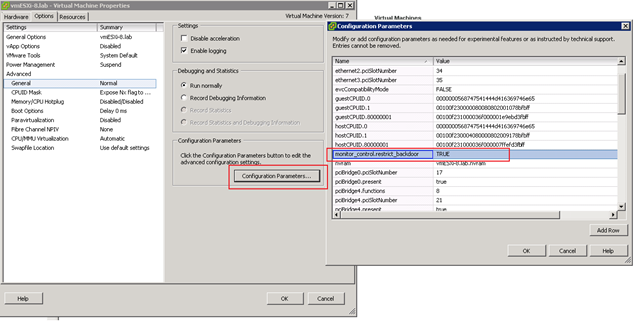 for example; you can power-off one of the virtual ESXi nodes to simulate a host failure and invoke the HA response, similarly you can disconnect the virtual NIC from the ESXi VM to simulate the host isolation response. 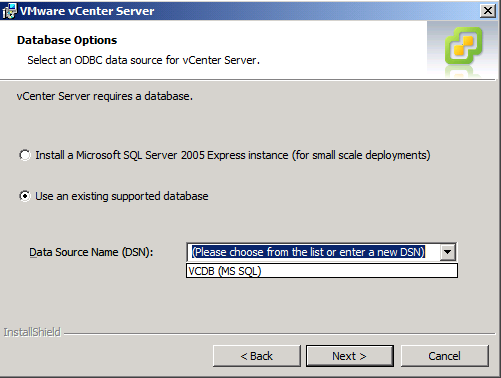 Whilst this post has focused on non-production/lab scenarios it could be used to test VMware patch releases for production services if you are short on hardware and you can quite happily run Update manager in this solution. Thin-provisioning also makes good use of an SSD in this situation as this screenshot from a 30Gb virtual VMFS volume shows. If you are wondering how noisy it it at power-up/down TechHead has this video on YouTube showing the scary sounding start-up noise but how quiet it gets once the fan control kicks-in. 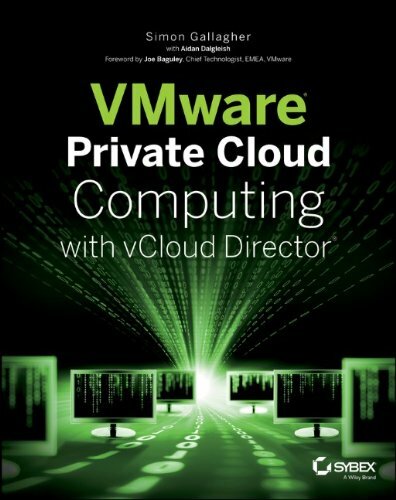 Having completed my VCP4 and 3 I’m on the path to my VCDX and next up is the enterprise exam so this lab is going to be key to my study when the vSphere exams are released. 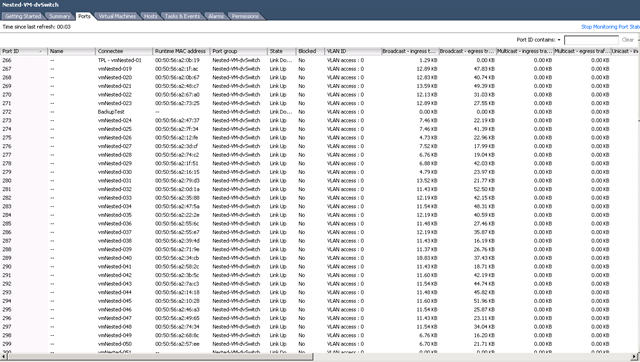 The linked .PDF file is an automatically generated report from my test installation of the new vCenter Chargeback product. 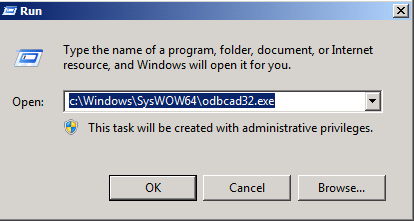 If I try with the appliance version of the application it ignores the slash in the DOMAIN\USER syntax for the database permissions and puts in DOMAINUSER, which obviously doesn’t work. 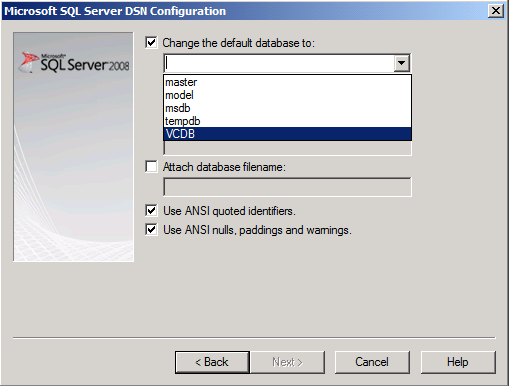 for now I have configured it using SQL authentication and that works ok isn’t ideal from a management point of view, would be good to understand why this is, as the appliance issue looks like a bug to me.